The children from the On Your Marks (O.Y.M) after school church club sponsor Kauane, a girl supported by the charity ReVive International in Brazil. They have to raise an average of at least £35 per month and this year have completed a sponsored walk. 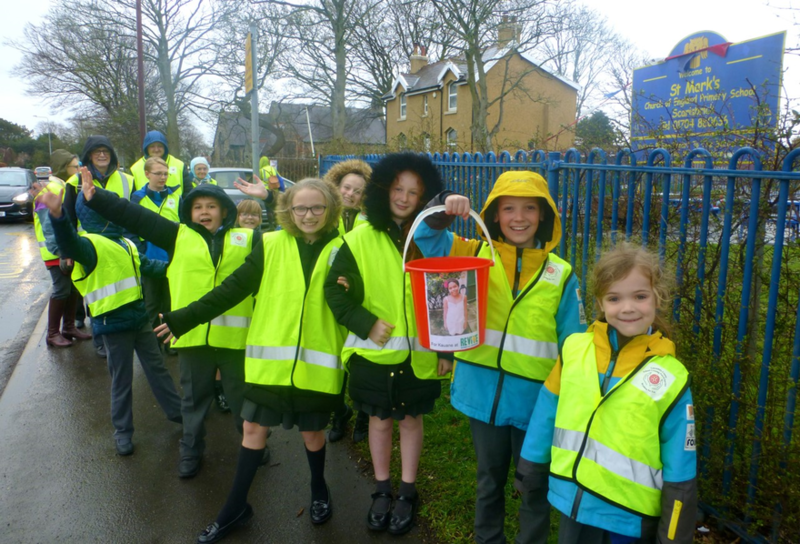 On Monday, 18th March the children and adults form the club, supported by members of St Mark's Church set off, in the rain, from St. Mark’s School to TESCO.